I've had Madame Rougit for a few weeks, but today is the first day I've been brave enough to take it out of its packaging and *gasp* use it. I'm not one to be overly precious about my makeup (it's meant to be used, afterall), but Madame Rougit is an absolute stunner in the pan and I knew once I dipped my brush in, it would never be the same again. Even the inside of the box has the Point d'Espirit pattern! Color wise, Madame Rougit has a raspberry shade, a light pink, an orangey coral, and a brown-toned neutral in the corner. I don't think any of the strips are large enough to be used alone, but I can see keeping your brush to the two colors in the bottom corner or the two colors in the top corner. But I think it's more fun to use all four colors together, anyways! The result of all four shades together is a warm pinky coral, with shimmer. 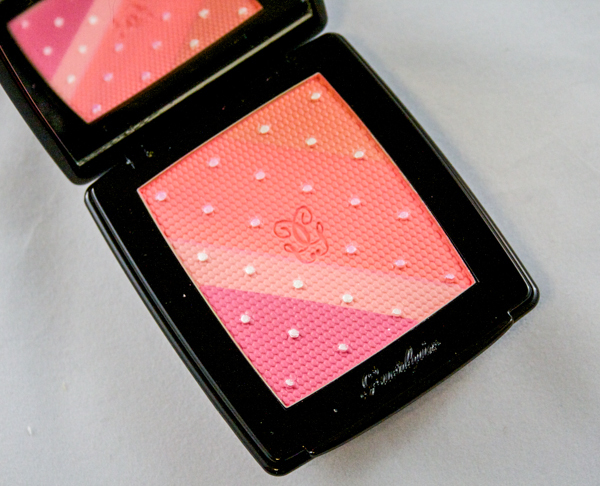 If it weren't for the shimmer, I would be a much bigger fan of this blush than I am. I'm hoping that with further usage, the shimmer will diminish. I'll keep you posted. In terms of texture, Madame Rougit is neither chalky, nor buttery (as I find Rouge Bunny Rouge or Burberry blushes to be). It is not super pigmented, but it does have a decent color pay-off. But its lack of vibrant pigmentation isn't a mark against it--it makes application quite easy, as it is hard to over do it. As a matter of personal opinion, I could more easily see this as part of a summer collection, rather than fall, but I suppose the rules are, there are no rules! So, I'm going to continue wearing this throughout the season and see if I can tone down the shimmer. 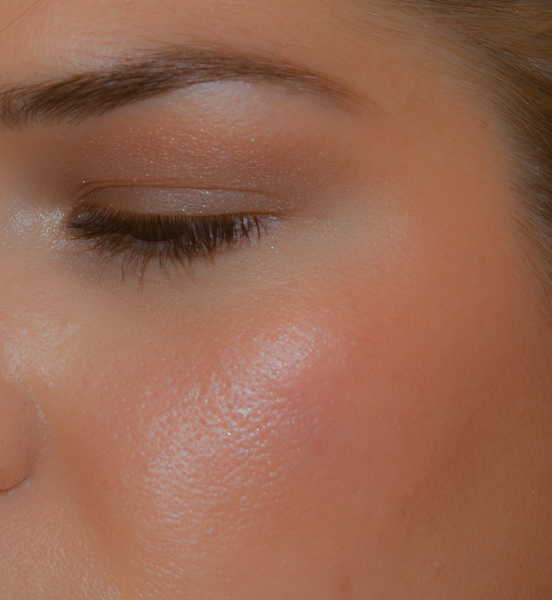 Overall, this is a pretty blush that I like, but don't love. 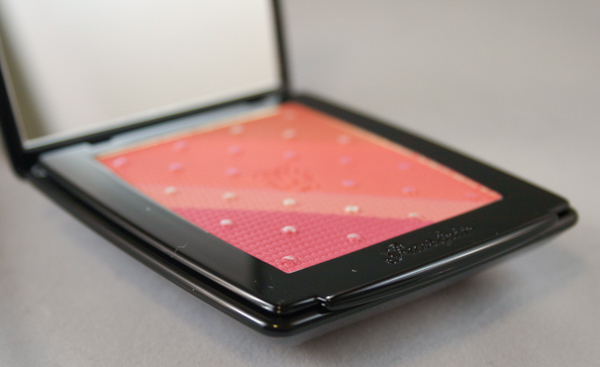 It ranks up there in sheer aesthetic appeal with my Givenchy Le Prisme Blush in Bucolic Poppy. 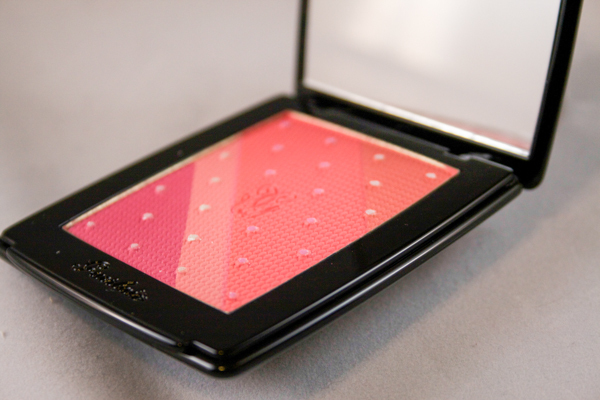 But if you are looking for a real workhorse of a blush, I think you could do better, especially at $67 a pop. Available at Nordstrom. 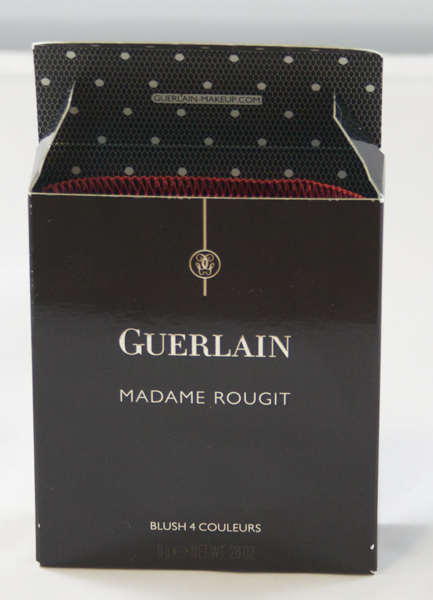 Have you picked up Madame Rougit? What do you think about it?